The island of Penang is worth a visit for the food alone, but there’s also enough to keep you busy between meals and you could easily spend a week exploring. Easy to get to from most of Malaysia and well serviced by public transportation, not to mention filled with some of the best street food in Asia, it’s not hard to understand why Penang is one of the post popular destinations in Malaysia. No matter how long you have, here are five things to add to your itinerary. Malaysia is hot and humid most of the time, and walking around with your clothes sticking to you can eventually get frustrating. 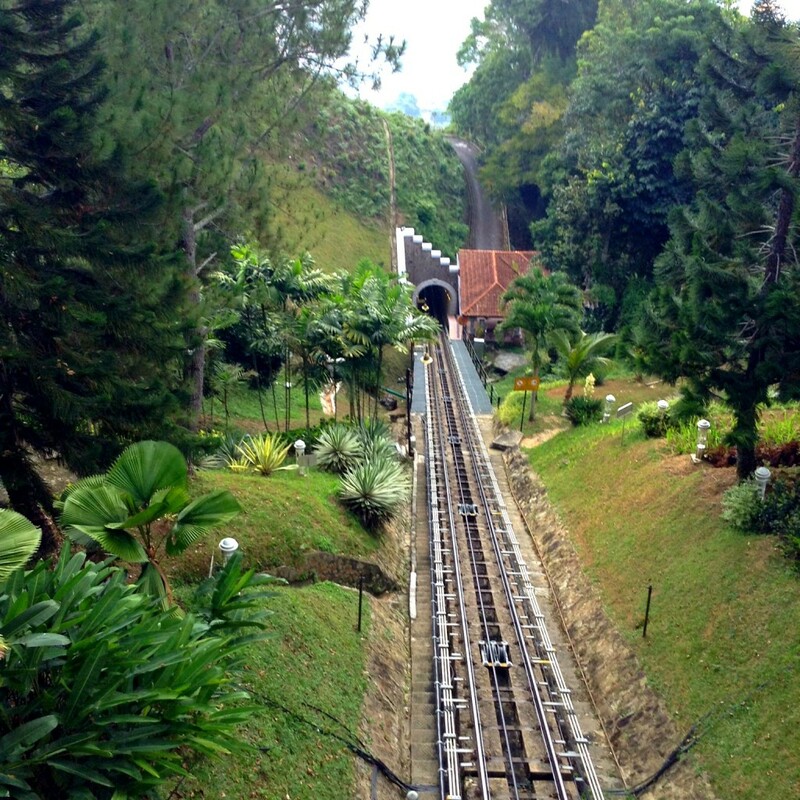 Give your body a break and find your way to Penang Hill. It’s an easy bus ride from Georgetown and those buses are blissfully air conditioned. Once you arrive, take a funicular train up to the top where the air is cooler and the views are worthy of at least a few Instagram posts. There are restaurants at the top as well as a souvenir stands, a temple, a mosque, and a bird sanctuary. The scenic trip takes around five minutes or you can hike. Unless you’re spending a few days by the beach (see below) you’ll likely be based in Georgetown during your visit to Penang. This is where the majority of hotels, hostels, markets, restaurants, and historical attractions can be found. The island’s capital was declared a UNESCO World Heritage site in 2008 thanks to the abundance of original colonial architecture on display here. Historical buildings, temples, and traditional Chinese shophouses laid out along winding streets and narrow passageways are what give Georgetown so much charm. Noteworthy historic sites are often within walking distance of one another so it’s easy to see a lot on foot. Kek Lok Si Temple is another easy bus ride from Georgetown. It’s the largest Buddhist temple in Malaysia and one of the largest in Southeast Asia. It’s a bit of a walk to get to the temple once you’re off the bus but there are signs that point you in the right direction. You’ll go up a winding set of steps past several souvenir stalls and a murky turtle pond where there will likely be a bottleneck of people feeding the turtles. But once you’re past all this, the reward is a spectacular temple filled with beautiful carvings, sculptures, and murals. The complex makes for a relaxing place to wander and you can also take a cable car to the very top for great views over Penang and a chance to check out the 36.5-metre-high bronze statue of the goddess Kuan Yin, the goddess of mercy and compassion. There’s a cheap and delicious vegetarian restaurant on site, too. 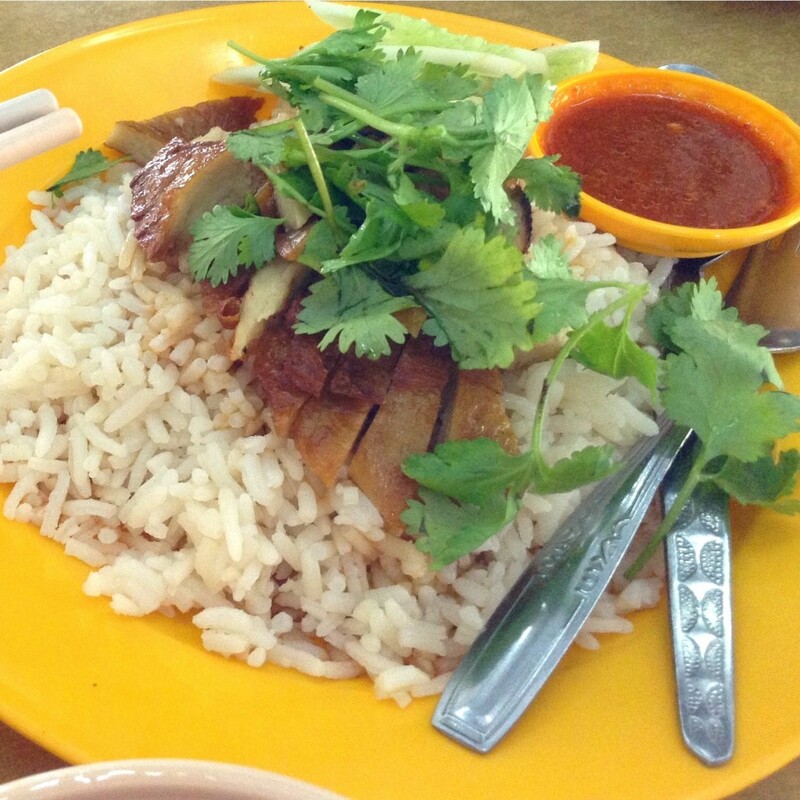 If there’s one thing you want to bring with you to Penang, it’s a hearty appetite! There’s a reason the island winds up on so many lists of top foodie destinations (CNN Travel and Lonely Planet among them) and that’s the sheer variety and abundance of street food being cooked in food stalls, coffee shops, and markets all over town. A mix of Chinese, Malay, and Indian cuisines make for a food scene like no other. There are so many things to try but make sure to get a taste of Penang laksa, a spicy, sour soup that instantly wakes up your taste buds. Hainanese chicken rice, curry mee, wonton mee, and rojak are a few other dishes to keep an eye out for. Stop by Little India for some really tasty (mostly deep fried) snacks from carts that line the streets each afternoon. While not as nice as some of the other beaches you can find in Malaysia, there are some perfectly fine stretches of sand to be found in Penang. Batu Feringghi is where you’ll find Penang’s most popular beach destination and you can either make a day trip out of a visit or stay at one of the many hotels in the area. Monkey Beach, considered to be one of the better beaches in Penang, can be found in Penang National Park which lies about 45 minutes outside of Georgetown. The beach here is much quieter than what you’ll find at Batu Feringghi. There are some good hikes in the park as well as a canopy walkway. Entrance to the park is free but there is a small charge for the walkway. Want more Malaysia? Let us show you around like a local on one of our Penang tours!